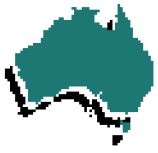 Drilling Fluid Australia (DFA) is a privately owned company servicing the Australian and Asian market. Our mud system, combined with our on-site technical support and our commercially competitive pricing, will reduce your overall cost operation. For Drillers and Companies alike, we are committed to enabling better processes, offering innovative products for all drilling and special foundation applications as a genuine alternative supplier. This all means that we do better and go further to not only meet, but exceed our customer expectation.